without having 11 leftover from the batch. 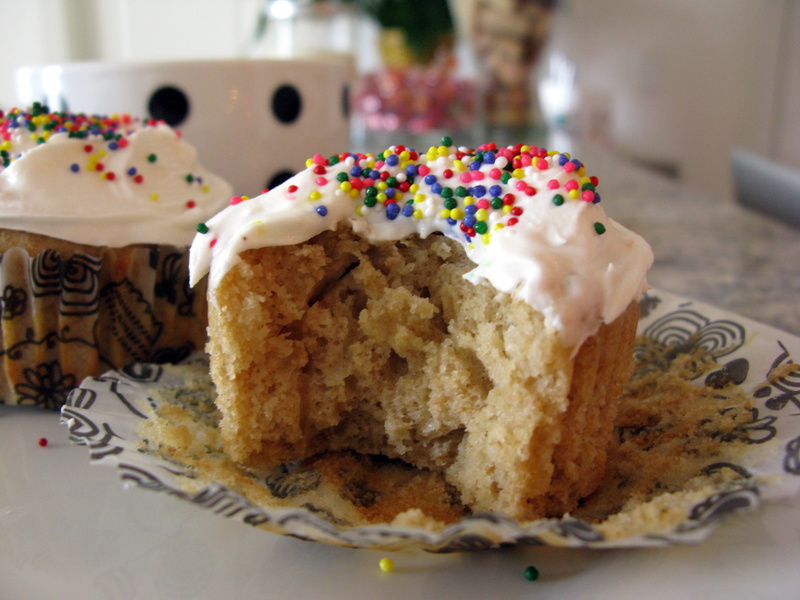 …..soooooo i considered it my lucky day when i stumbled upon jessica’s one bowl vanilla cupcakes for 2. that’s right. one bowl. 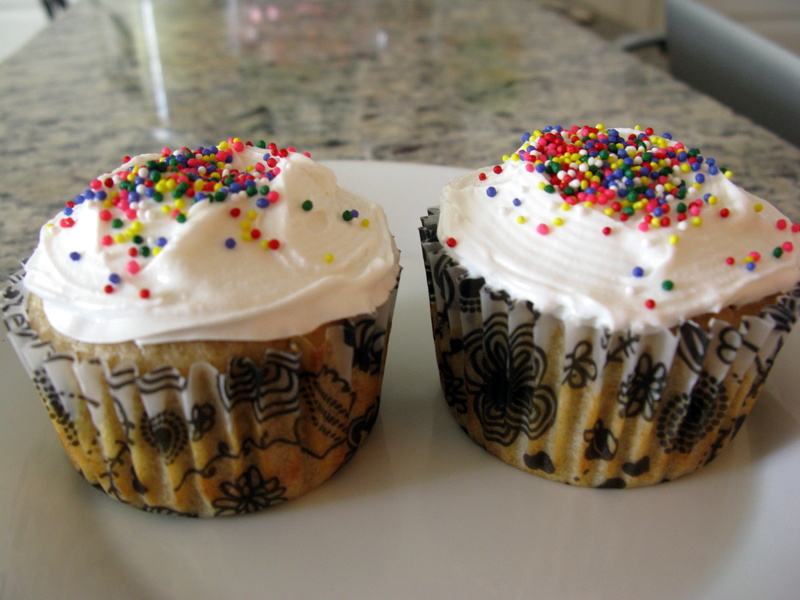 two cupcakes. easy peasy. « caramel apple peanut butter oatmeal bars. oh my, your entire blog looks delicious! Would almost be dangerous for me to keep browsing – cupcakes, choco pretzels, yummmm! 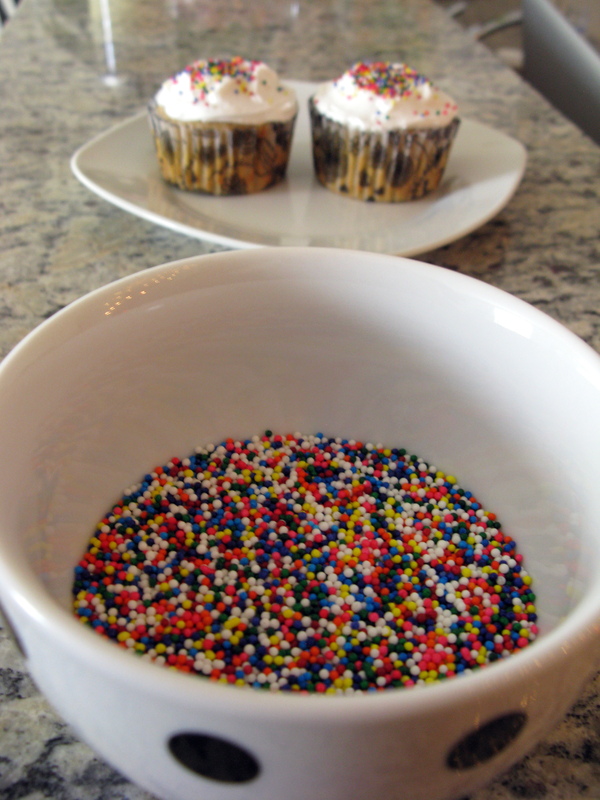 Forget the cupcakes, I’ll just take the whole bowl of sprinkles! 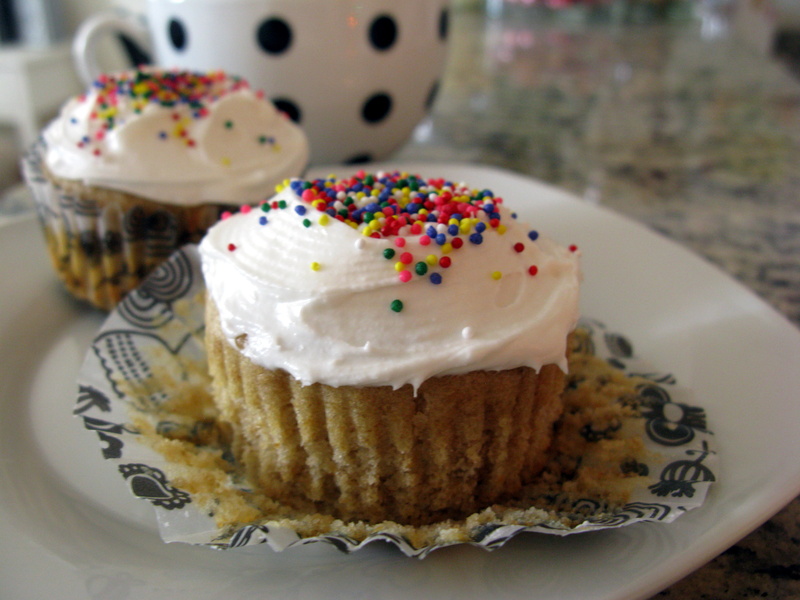 But seriously Sally, the cupcakes look delicious – perfectly fluffy and moist. I loved this recipe when I made it myself, too. Thanks for sharing! 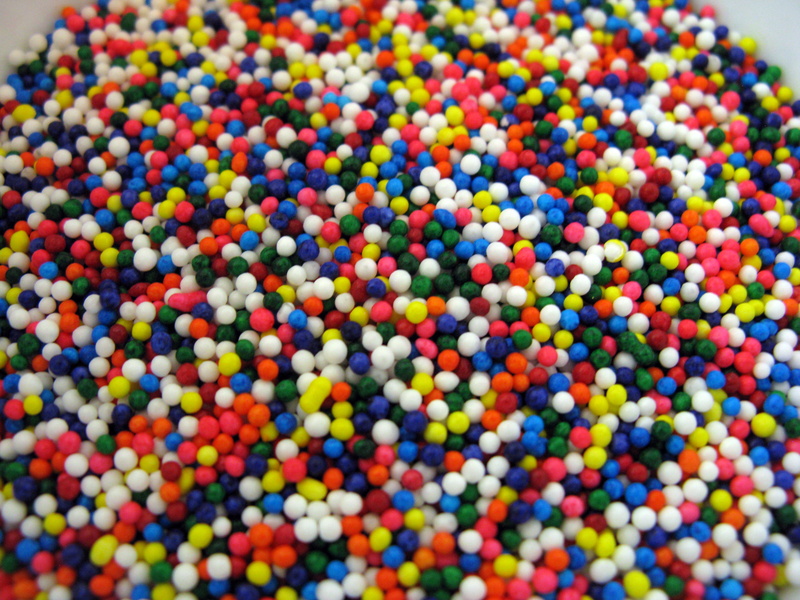 oh man i adore sprinkles too! thanks georgia. 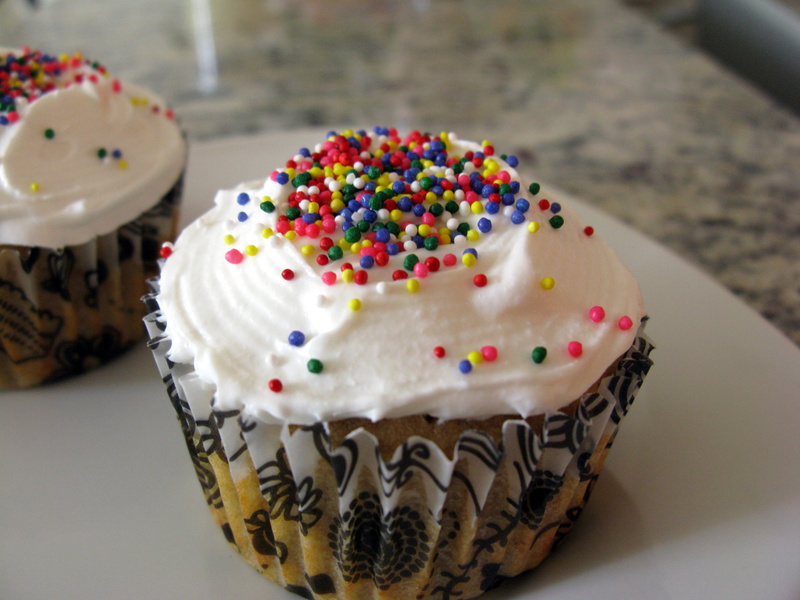 This is a perfect cupcake recipe for us…so adorable with colourful sprinkles. Love the cupcakes!! I made these for Valentine’s Day and they are delicious! thanks Erin! i’ll be making them time and time again, love the 2 serving recipe. thanks Danielle! i know, i love this little 2 serving recipe! I think I love you for these! 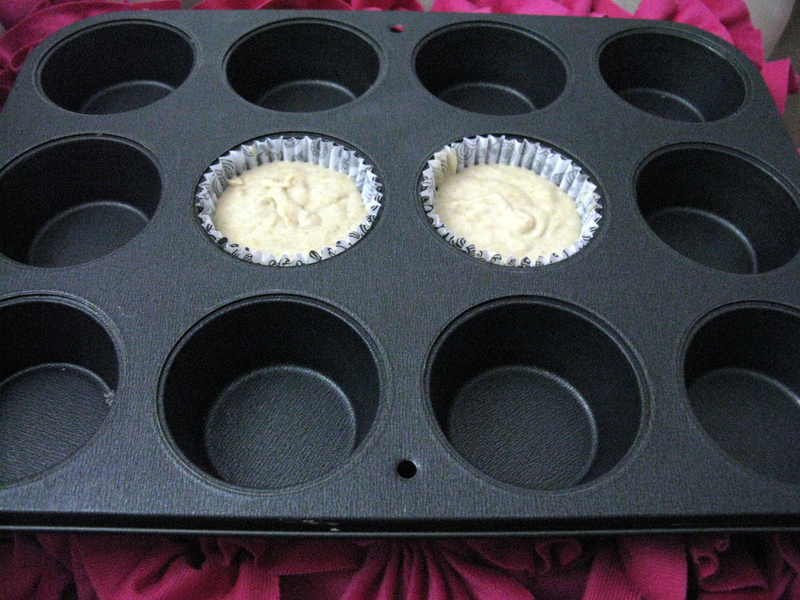 Having the ability to make only 2 cupcakes instead of an entire batch rocks! It could also be quite dangerous – I could see myself making them at all times of the day and night. Tee-hee. One for me, one for you! haha thanks Reeni! these were SO quick and easy, I could see myself making this recipe all the time. kind of negates the whole point! Yummy Cupcakes! 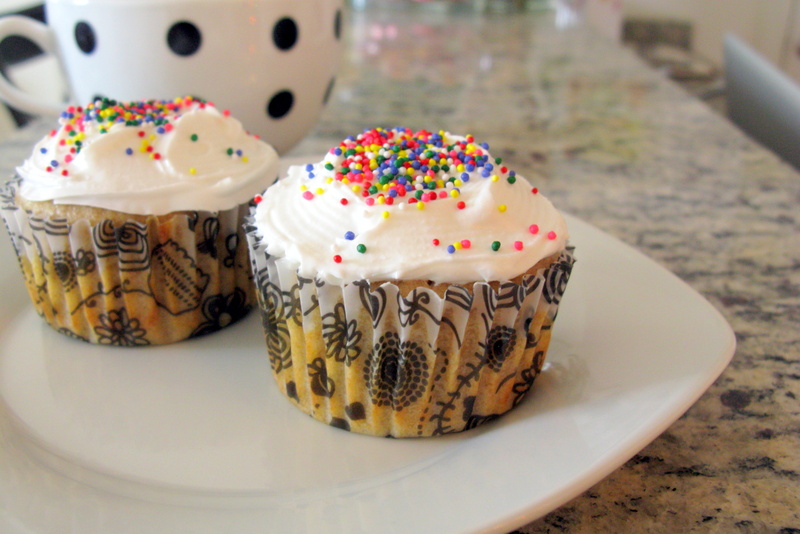 Love the sprinkles, super cute.